I hope everyone is having a great week! Today’s topic of discussion – SELLING Your Home NOW! 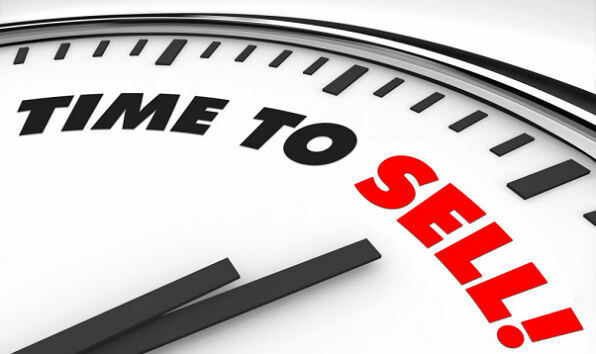 Why do you think right now is a good time to sell your home? Maybe you’ve heard the real estate market is doing well? Or maybe you’ve had a friend or family member sell their home and have positive equity? Both of those are good reasons to sell, but here are 5 top reasons to SELL your home TODAY! 1.) Low Mortgage Interest Rates! – Right now you can borrow money to purchase a home with record low interest rates! You may think well isn’t this a reason for a buyer to purchase a home? You’re correct, but this is a HUGE benefit for sellers. Right now Realtors like myself have buyers just waiting for homes to hit the market. Inventory is extremely low and the real estate market needs your home to be listed for sale TODAY! 2.) Home Prices are on the Rise! – Home prices are continuing to rise throughout the United States. In 2017 we finished out the year with a 5.5% year to year increase with home values on the rise! 3.) Millennials! – Millennials are ready to purchase a home! With an economy on the rise, millennials are in the position to purchase one of the best investments! They’re graduating college, starting careers and getting married! Perfect time in their life to invest in a home. 4.) Money in Savings! – Not all, but some people are finally able to have money in savings!. They have made it through the hard times and feel stable with their finances. That being said, a lot of people are starting to look into purchasing a home. 5.) Low Inventory- I discussed a little bit of this topic with # 1 and Low Interest Rates. Inventory is EXTREMELY low. I have a portfolio of buyers who are just waiting for the average family home to hit the market! They’re preapproved and ready to go! All we need is a home like yours to be listed for sale! If you have any questions about listing your home or purchasing a home, I would be more than happy to sit down with you and discuss your real estate needs. As always I’m here to help every step of the way! Have you given any consideration to listing your home for sale? Maybe you’ve heard the myth that listing your home in the Spring is the best time of year. I’m here to tell you that may not be the case! Right now we have a lot of snow birds in the area looking to purchase winter homes. Also with interest rates being extremely low, we have a busy real estate market in general for all stages of life. From first time home buyers to couples retiring and downsizing, there is a buyer right now for your home. In today’s real estate market inventory is EXTREMELY low. Myself, as well as several other Realtors, have portfolios of buyers just waiting for homes to hit the market! I would love to have the opportunity to sit down with you and provide a free comparative market analysis. We can also go over my marketing plan to get your home SOLD for top dollar and in a time frame that works best for you. Please give me a call today! I look forward to hearing from you. I hope everyone had a Merry Christmas and a Happy New Year! I would like to hear from you and see who all made a New Years Resolution? You always hear of the resolutions to lose weight, eat healthy, improve a relationship, travel more, etc., but who made a resolution to buy a home?!?! Buying a home is one of the best investments you can make and over time will help you gain financial freedom! What if your New Years Resolution was to sell your current home? Maybe you now have equity in your home and are ready for an upgrade! Or your family is expanding and you need more living space. Either way, right now is a great time to buy or sell real estate. Home values are up for sellers and interest rates are extremely low for buyers! I would love to have the opportunity to talk with you and guide you through the process. If there is anything I can do to help please let me know. I hope everyone has a great start to 2018! SOLD!!! But we can help you find similar properties! Are you hunter, fisherman or just love outdoors. This 3 acre partially fenced tract is located down rough country road but provides great privacy, peace and quiet. Borders Florida Power and Light acreage and affords plenty of hunting, off roading and some of the greatest fishing in Florida is only minutes away at Rodman Reservoir. Come see this 2001 doublewide manufactured with 3 bedrooms, 2 baths manufactured home with 1104 living square feet. Kitchen has newer cabinets and lots of counter space with eat-in-dining area. Approx 90% complete upgrade inside home includes new carpet, vinyl flooring, paint, wood wainscoating, light fixtures and more with only a few things left to finish it up. Pole barn is started and just needs completed. Plus additional storage shed. Seller states well is free flowing too, now that’s hard to find! If you are looking for a private secluded piece of acreage, look no further! Planted in in pine trees and located on dirt roads with great wildlife including Florida black bears, whitetail deer, wild turkey and variety of birds. Located 30 miles to Ocala and short drive to Fort McCoy with grocery, hardware, pharmacy, Cougar park and Fort McCoy School grades K-8. 15 minutes to Ocala National Forest with off road trails, horseback riding, kayaking, fishing, hunting, hiking, camping and just about any outdoor activity you can think of. 2/1 Manufactured Home in Quiet Country Settting on 1/2 Acre Lot. We want to provide the very best service to our customers. 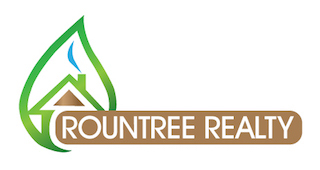 This means that for the home seller, We want to ensure that every home listed through Rountree Realty is given the attention necessary to properly promote.